In a deep sided skillet on high heat, add four tablespoons of olive oil. 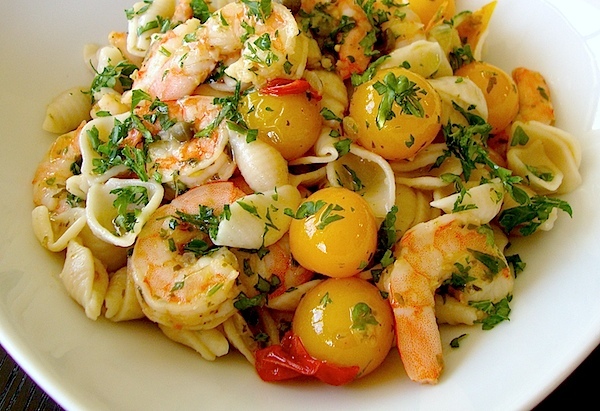 When hot, add garlic, onion, tomatoes, and pesto. Sauté until soft (about 4 minutes). Add shrimp, sautéing a further 2 minutes. Add pasta and stir well to combine. Add parsley and capers. Season with sea salt and black pepper. Drizzle extra olive oil on top and serve hot with a crispy salad of your choice. This looks incredible - I love capers! !